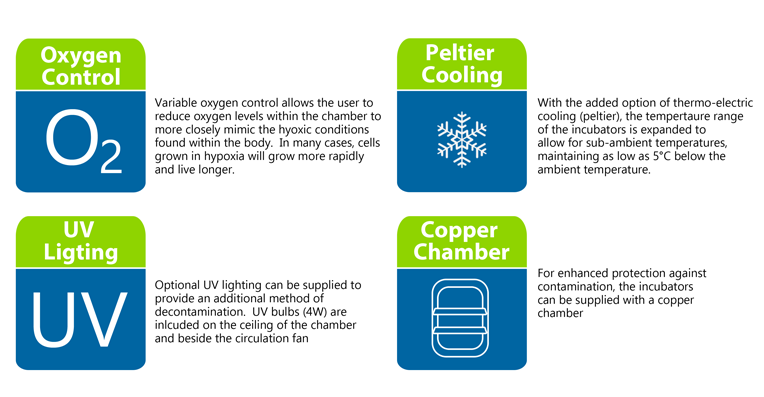 With the popularity of our recently added SureTemp™ Incubators, Benchmark has expanded our offering to include a new series of incubators offering CO2 control. 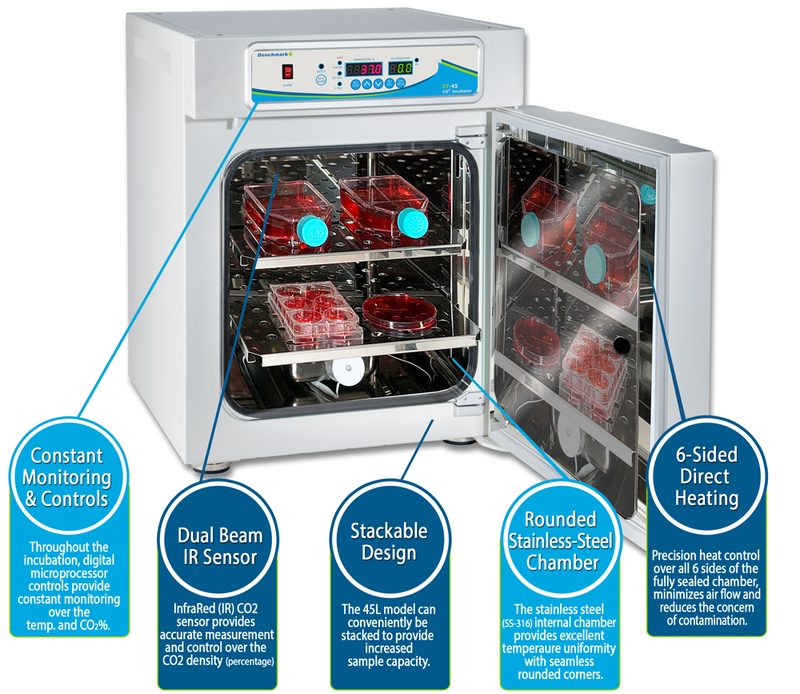 The ST-Series of CO2 incubators (consisting of the ST-45 and ST-180) utilize proprietary heat distribution technology to provide the highest levels of temperature accuracy with minimal fluctuation (within 0.1°C). The Mini CO2 Shaking Incubator uses a proprietary six-side heating and heat distribution system that allows for high accuracy and minimal fluctuation. The combined technology allows for temperature consistency within 0.1 °C. This is performed by the low speed internal fan. The fan can uniformly spread air throughout the Mini CO2 Shaking Incubator stainless steel chamber, without air exchange from the external environment. 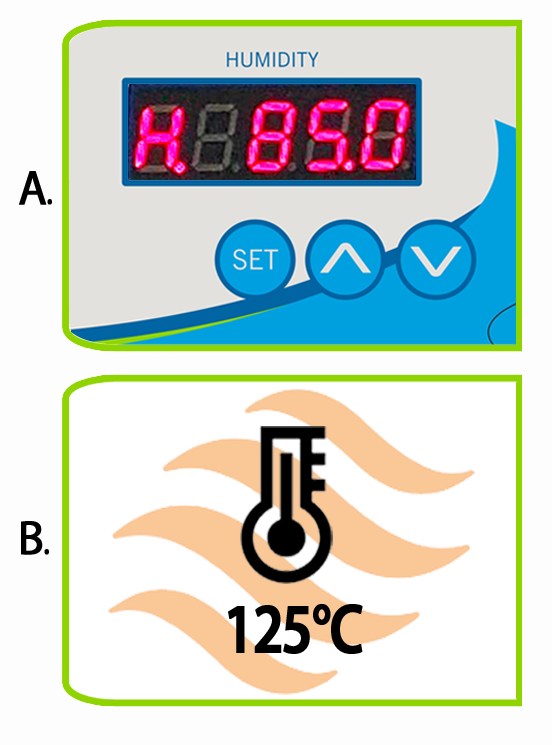 Although intended to be used that way, the internal fan can also be disabled for any applications requiring solely gravity convection.To exercise accurate and precise control, Benchmark engineered the Mini CO2 Shaking Incubator to use a digital microprocessor. The microprocessor constantly monitors the temperature and CO2% and will alert users if there is ever a deviation from the expected values. The CO2 density is measured via an InfraRed CO2 sensor that constantly provides accurate measurements for monitoring. The inside of the chamber is designed to maximize the amount of space provided. For maintenance and heat control purposes, the corners inside the chamber are rounded. The walls of the chamber have various levels with shelf capability to allow for higher sample capacity or to make space for larger sample vessels. The shelf can also be pulled out for easier sample loading/unloading. Furthermore, the orbital shaker is carefully placed and shaped so that samples can comfortably fit and shake at up to 300RPM in a smooth and consistent motion. 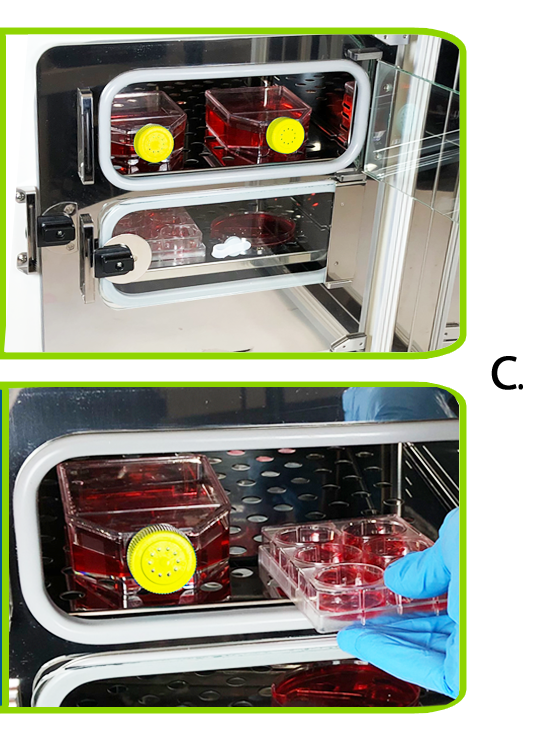 Furthermore, this careful engineering means that two Mini CO2 Shaking Incubators can be stacked without a safety risk.A 9.5” x 11.5” platform is included and can be used for low speed shaking of a variety of laboratory vessels including Erlenmeyer flasks, culture plates, and media bottles. However, for higher speed mixing, Benchmark has adapted their patented MAGic Clamp platform. This optional platform allows users to select magnetic flask clamps and tube rack clamps and more securely attach them to the orbital shaker.